Belgium is a country rich in cultural diversity and the languages spoken are a clear testament to this. The local languages include Dutch, German and French. While Dutch and German are Germanic languages, French is actually of Latin origin. For this reason, both Germanic and Latin influences can be seen throughout every aspect of the country’s culture. The capital and largest city is Brussels and it is also an extremely popular tourist destination. 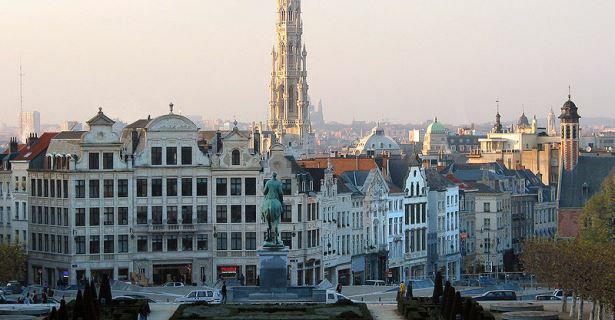 Whether planning a trip to Brussels itself or another fine city like Antwerp, Bruges, Liege or Spa (to name a few), you can be sure that various your every need will be catered for in the form of hotel accommodation in Belgium, dining establishments, shopping, sights and activities. With attractions like the most beautiful medieval squares in Europe, the Grand-Place, located in Brussels and the city’s amazing offerings from breathtaking architecture to tranquil forests, it’s easy to see why the capital receives so many visitors. The public transport system is of international standard and there are literally hundreds of hotels and other forms of accommodation in Belgium to choose from. No matter your budget, you are bound to find multiple options that suit your pocket and the same can be said for many, if not all, of the country’s large and smaller cities. Antwerp is also a top location for tourists and you may have even spotted the legendary “flash mob” performed years ago at Antwerp Central Station. This video really showcases the size of this grand station as well as the fun-loving and friendly personality of the locals. The station is also quite spectacular from the outside and is the perfect example of a building made to stand the test of time. Other local sights that illustrate the city’s rich history include the Cogels Osylei and the Grote Markt. A stroll around here will feel like a delightful jump back in time. The cities of Liege and Spa are literally an hour apart so, if you are up for exploring multiple locations, then a road trip is highly recommended. Book your Belgian hotel accommodation online, pick up a rental car from the airport and embark on your own tour of this fabulous country. Compared to some other countries, Belgium is remarkably safe for residents and tourists on holiday alike. That being said, minor crimes like pickpocketing do occur and a tourist is quite easy to spot. During your trip to Belgium, be mindful of your belongings and hold your bag or purse at all times. If you decide to enjoy a train ride, avoid using the overhead compartments and rather hold your bag during the journey. Just as you would do when visiting any other location, you should make copies of your travel documents, insurance, passport and so on. Keep these in a safe place separate from the originals and, if possible, store digital copies in your web based email account or an online server. Remember, it is law to carry identification with you at all times and you will need your ID if you wish to convert your local currency to Euros. On that note, the local banks usually offer the best exchange rates as opposed to other financial institutions and exchange facilities. Also, if you do take your passport along with you, you should leave any other original documentation safely tucked away in your hotel room in Belgium and keep copies on your person. The food in Belgium is absolutely divine. Popular meals include steak and fries served with salad or mussels and fries. The food can be quite rich so, if you are a beer drinker, you will have more than enough delicious local brews to wash it down with. Belgium hosts a number of interesting and fun festivals like the Carnival of Binche throughout the year. If you hope to be present during one such event, you should make sure that you book your Belgian hotel accommodation in advance. Due to the influx of visitors, you should be on the lookout for any special offers or cheap hotel deals in the city of your choice.